The American Academy of Family Physicians has published a Tobacco and Nicotine Toolkit to encourage and support tobacco and nicotine prevention and cessation among the patients and populations that you serve. 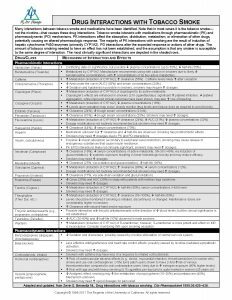 The toolkit includes office-based strategies, resources, and coding information. 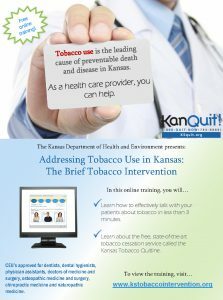 Kansas Tobacco Quitline resources are available for your office. 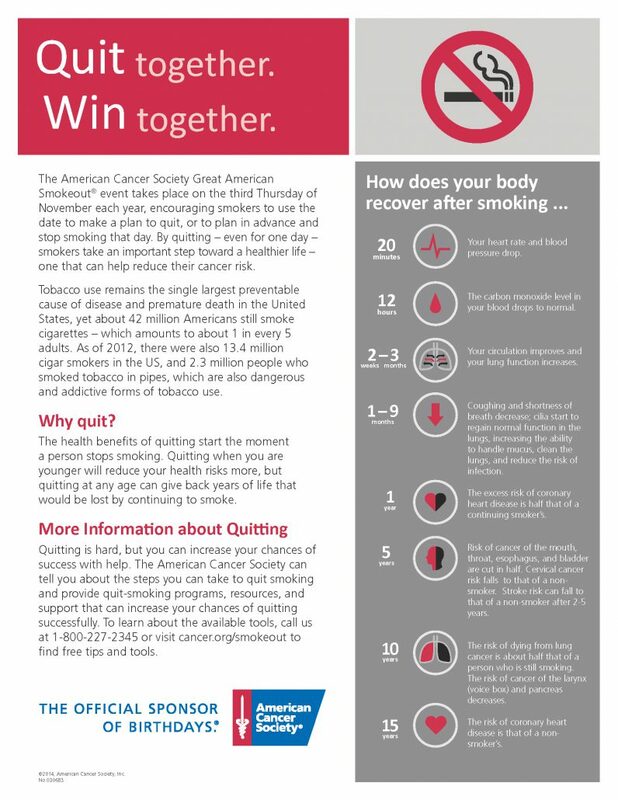 Contact KAFP’s Tobacco Control Coordinator Kim Neufeld at KNeufield@kafponline.org for resources and technical assistance.